Well, 2015’s almost over, and besides bringing better graphics, more precise controls, and more in-depth content to our games, it also brought us a pretty significant amount of casino mobile games. Though we aren’t huge gamblers ourselves, we still couldn’t ignore the likes of Jackpot Slots, Big Fish Casino, and Slots – Titan’s Way hitting our Play Store and App Store, so we have decided to try out most of those new releases on our devices. While the three mentioned above aren’t too shabby, most of the other related games felt like really cheap knock-offs of their online versions and even the so-called original creations seemed and played really cheap. Low-detailed textures, unresponsive user interfaces, tons of microtransactions… the problems just kept piling up and only a select few titles were actually playable. The overall level of quality was a bit better on iOS, no doubt due to Apple’s stricter approval process (or the fact that it, you know – actually has one), but we still weren’t too satisfied with what all of these games had to offer us. The funny thing is, if you’re into this sort of games, chances are your tablet can actually run them in its browser without much hassle. A quick Google search reveals that not all casino sites use Flash anymore so you shouldn’t have much trouble playing directly through your browser, and even sites like Slots Heaven Casino can be accessed without much trouble on a rooted Android smartphone or tablet. You can easily save a bookmark of any site you like to your home screen and simply open it like any other app. With a good internet connection, the performance shouldn’t differ much in comparison to actual apps, and the funny thing is – you won’t be constantly reminded that you can buy more credits to play. Yeah, those microtransactions are really running wild on mobile platforms when gambling sites have a more straightforward approach to playing slots and other casino apps than their dedicated mobile apps. 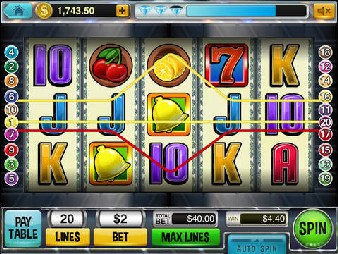 So, though it’s not a perfect option, playing in a browser is definitely a viable alternative worth considering if you’re an aficionado of casino games, especially if you own an Android tablet.